Icanon nicchihua nin tlahtol tlanahuatiliztli, ihuan nochi necate Aquihque quitzizque to netehuiliz, yehuatl man ye aquin zazo Qui pahpaquilizpias hueli, huan melahuac cualinemiliz Itech inin yahui to mahuiztica tlahtol, de cualli oquichtin ihuan de cualli netechhuiloanime. To the chiefs, officers, and soldiers of the Arenas Division. What we all suspected, has already occurred. Now, that which had to happen today or tomorrow: your separation from those engendered by Venustiano Carranza. They never favored, nor loved you with their hands. They merely deceived you, envied you. They wanted to hurt you, they will not you, they want to get rid of you. They never behaved as humans toward you. Of these men, something that be adequate comprehensive, alone of affection by other and of respectful estimation, voluntarily, and to know about humans, that it stems from a human in any thing belonging to others, and in that someone carries out the work. To turn the face against the not good ruler, honors you, erases the memory of your past deception. We hope you will take part in the ideals for which we are fighting. In this manner we will unite as one, pressed closely against one flag. And with this will be done with the large unified hearts of the people. Those who make fun of us and all those that put in mourning and engendered the Carrancismo; we with all our heart, know how to forget the old envy. We invite you all, to those who want to join us, who would be by our flag because our flag belongs to the people and to those who work for unity for the fight. Of some way the great work which we will achieve in some way, before our revered mother earth, called Patria. Let us fight the perverse, the evil man Carranza, who is a tormentor of us all. If we work for our unity, we will fulfill the great mandate, the principles of land, liberty, justice; that we comply. Our work of determined revolutionary, and we know our duties toward our revered mother the land to invite you to this army's command. That is why I express this word, all those who will follow it, who will fight at our side, whoever that may be, will enjoy a righteous good life. In it we place our word of honor, of sincere men and good revolutionaries. REFORMS, LIBERTY, JUSTICE AND LAW. Note: We beg that to whose hand this manifesto approaches that they will pass it to all the men of these towns. Emiliano Zapata was born on August 8, 1879 in Anenecuilco, Morelos. He was the ninth child out of 10 of Gabriel Zapata and Cleofas Salazar. He was only one of four children who survived to adulthood. First documentation of the town can be found in the Codex Mendocino in which they gave tribute to the Mexica. European docuementation started in 1521, when the Spaniards first enter Morelos (this was before the Spaniards fought the Mexica.). Anenecuilco, Nahuatl for The Place Where The Water Rushes, existed before the coming of the Europeans. When the Spanirds found out that the land that the Nahua lived on was good for growing suguar, the Spaniards threaten the Nahua people by competing with them for resources. During the 1500's, the diseases that the Spaniards brought declined the Indigenous population. In the late 1500's, sugar boomed. Econimieda was the only reason for this. In 1603, the Nahua of Anenecuilco were becoming endangered. The Spaniards colonist government decided that Anenecuilco population be mixed with that of Cuautla (Nahuatl for The Place of the Eagles).In 1607, the virrey Luis of Velasco grants them land, but that same year, they are removed for the construction of the Hacienda of Hospital. In 1746, it composed of 20 families that defend their legal rights of a harassment triple: the Haciendas of Cuahuixtla, of the Hospital and Mapaztlan. In 1798, the town asks for some lands and it is opposed agreement of the Real Audience in favor of the hacendado Abbot, of Cuahuixtla. At end of the century its population has has grown: the census of 1799 finds 32 families Indians "with all and government". 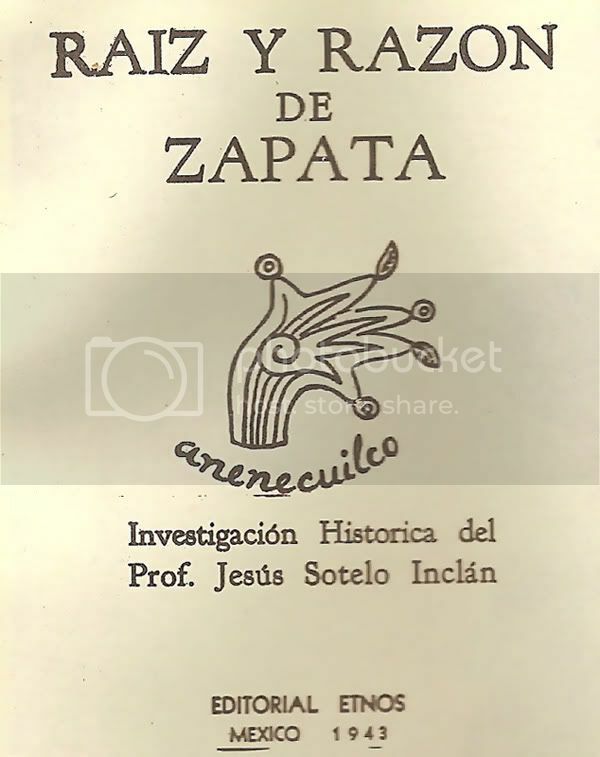 A witness of the epoca writes down in 1808 that the Indians of Anenecuilco - among the ones that the surname appears Zapata - "leased the Haciendas of Hospital because theirs was not sufficient". That same year, a diligence between Anenecuilco and the hacienda of Mapaztlan in which the representatives had a spiteful disdain towards the town. In 1866-1867, a man named Jose Zapata (not Emiliano's uncle, but from what I been researching, it could be his great-uncle) fought with Porfirio Diaz against the French. He fought with him because Diaz promised him that Anenecuilco will always belong to the people. For this, Jose supported Diaz's to achieve power in the 1870's. In 1876, Diaz became president (1876-1911), but sadly, Jose Zapata died. Diaz felt like he didn't need to what he promised Jose and so the land was not returned back. 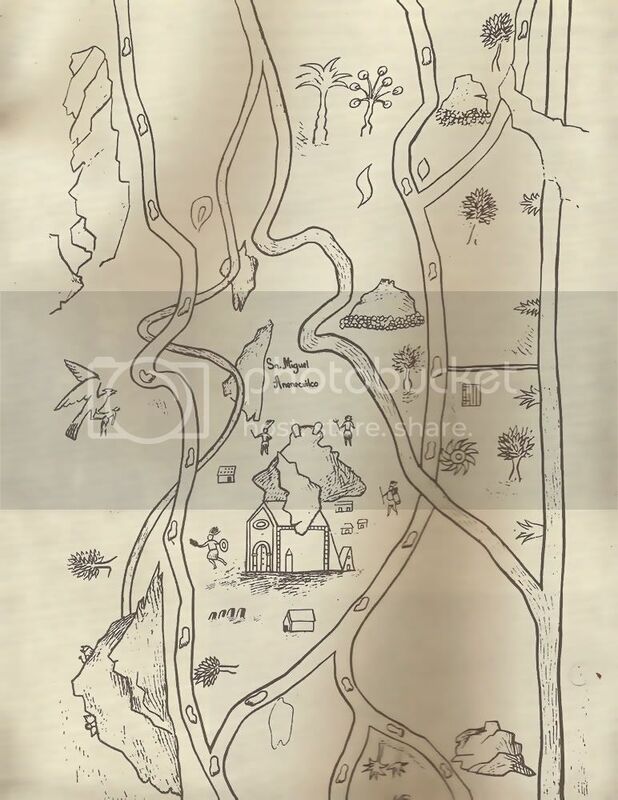 In 1887, the hacendado of Cuahuixtla took many lands and homes of the people of Anenecuilco. Vicente Alonso, owner of the Hacienda Hospital, began a new type of opression towards Anenecuilco. The people of Anenecuilco turned to livestock-raising because they lost most of their fertile lands for growing crops. Hacendado complained that livestock was damaging the crops. Alonso resolved this by sending his men to kill the animals that were grazing on their land. Anyway, back to Zapata. He knew Nahuatl. He mostly lead people of Mayan and Nahua at first, but then he has been recruiting more people afterwards.